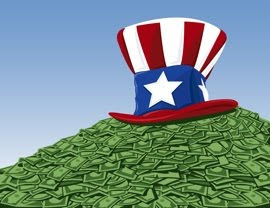 InvestorCentric: Can A Value-Added Tax Solve The US Debt Problem? Can A Value-Added Tax Solve The US Debt Problem? At The Street, Peter Morici discusses how it's no longer far fetched to imagine a Greece-like debt crisis in the US. An unsustainable budget imbalance is prompting some in the government to suggest a value added tax to increase government revenues. See the following post from The Street. Greece is insolvent -- no austerity or new taxes will pa y its debts. If I wanted rightwing blather that is all hyperbole and no facts I would watch fox news. I am very disappointed to see this kind useless post on here. Politics and investing don't mix.